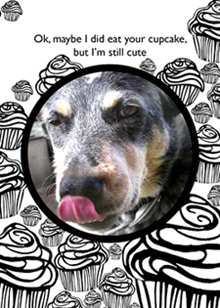 June: An absolutely sweet as can be blue heeler girl adopted from the animal shelter. June enjoys lots of cuddle time. "Ok, maybe I did eat your cupcake, but I'm still cute"